Pinot Noir has been eclipsed as Napa Valley’s signature red wine, but a few producers still grow the cool weather-loving vine in this warm-climate region. In the early days that followed Prohibition in Napa Valley, many premium producers tried their hand with Pinot Noir as much as Cabernet Sauvignon. 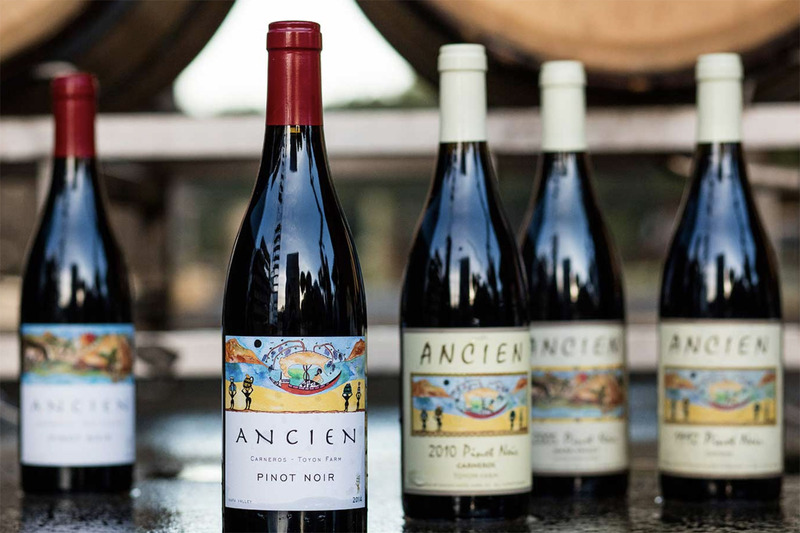 “All of the champions of varietal wines from the 1930s, 1940s and 1950s persevered with Pinot,” writes John Winthrop Haeger in his book, North American Pinot Noir (University of California Press, 2004). Among them were Inglenook, Beaulieu, Martini, Beringer and Charles Krug. Quality varied, however. Increasingly, Cabernet Sauvignon, suited for the valley’s relatively warm climate, became king, especially after the “Judgment of Paris” blind tastings in 1976, where California Cabs was rated better then some of the top bottles from Bordeaux. Most of Napa Valley appeared to be too hot for the thin-skinned grape, though vineyards favorable for Pinot were being planted in the foggy and cool region that would become the Los Carneros American Viticultural Area (AVA). Foggy and windswept are the optimal words for the grape. Pinot Noir is notorious for being fickle and demanding, nicknamed the “heartbreak grape.” It needs constant care and attention, a climate that’s not too hot or cold and the right combination of soils, clones and rootstocks. If anything is out of balance, it just doesn’t yield or taste any good. If you’re on expensive land in Napa, why bother? As a result, Napa’s Pinot plantings have continued to decline. The price differential between Cabernet Sauvignon and Pinot Noir per ton is substantial. So is the chasm in yields between the two most of the time. It makes more sense for Napa Valley wineries to produce Cabernet. As Napa Valley continues to embrace Cabernet, Pinot Noir plantings have grown in neighboring Sonoma County: 12,527 acres of Pinot Noir were under vine in 2016, as compared to a mere 2,838 acres in Napa the same year. Much of Napa’s harvest came from Carneros, the cool-climate region that reaches furthest south from Napa to the San Pablo Bay, which also includes part of Sonoma. Needless to say, it’s relatively rare to taste Pinot Noir from anywhere in the Napa Valley further north than Carneros. It’s evasive, but it does exist. The grapes grow in a few outlying, unexpected spots high in the mountains of Atlas Peak and Spring Mountain, as well as in a few pockets of Coombsville, another relatively cool appellation southeast of the city of Napa. Brie Cadman’s family makes Pinot Noir for their Tulocay label from fruit grown in the Haynes Vineyard in Coombsville. Cadman’s father has purchased the Pinot grapes from the same rows for 30 years. 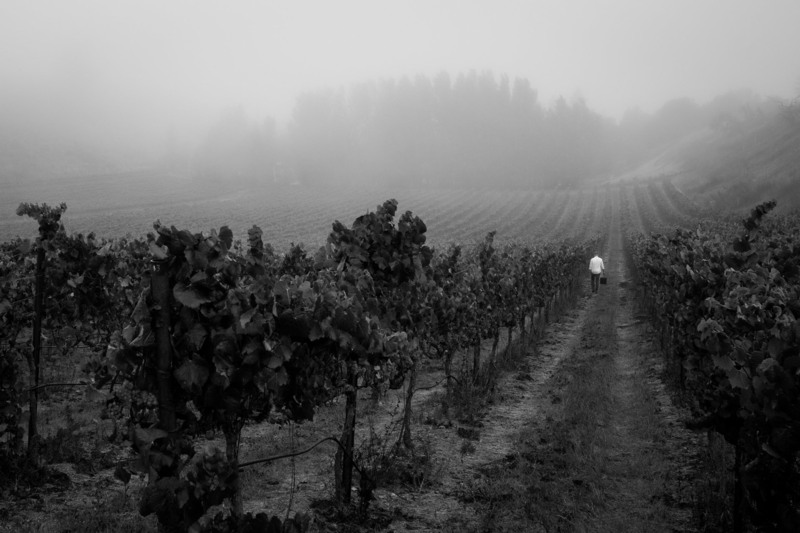 Fernando Delgado has been the vineyard manager that since 1970. 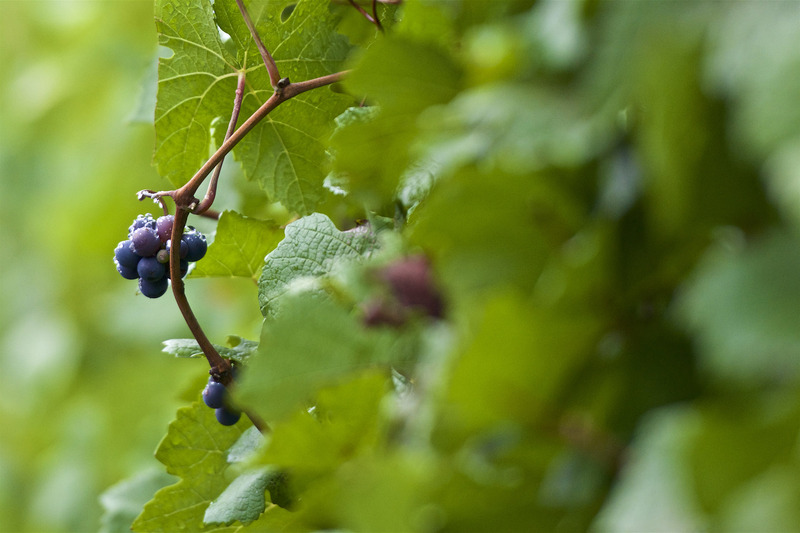 Tulocay’s fruit comes solely from the 1966 vines, planted to an old Martini clone. Matt Iaconis, owner/winemaker at Brick & Mortar, makes two Pinot Noirs from Napa Valley, one from Spring Mountain’s La Perla Vineyard and the other from Cougar Rock Vineyard on Atlas Peak. He says that the challenge to select a Pinot Noir site in Napa Valley is to identify the coolest sites within its generally warm climate. Saying Napa Valley is too hot for Pinot Noir isn’t necessarily accurate, according to the winemaker. Iaconis sources from sites like Cougar Rock in Atlas Peak. There, temperatures usually run 7–10°F cooler than the valley floor in a more southern appellation like Yountville. The north-facing slope avoids the hot afternoon sun and sits over the fog line at 1,500 feet above sea level. The La Perla Vineyard site is a completely different beast. While the temperatures necessary for ripening are nearly identical to Atlas Peak, the soil is mainly volcanic ash and the acidity of the wine is typically quite high. The Pinot vines for Brick & Mortar sit on terraces at the bottom of a hill, the coolest portion of the block. At about 1,700 feet in elevation, the vineyard is 5–7°F cooler than St. Helena, on the valley floor below it. Still, he admits, both sites are warmer generally than most spots within the Sonoma Coast appellation. The key is when the grapes are picked. 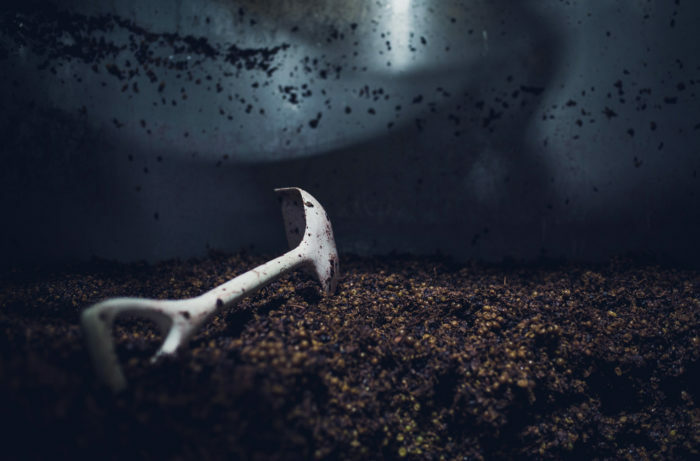 “If you pick at 22.5 to 23.5 brix in Atlas Peak or Spring Mountain, versus picking at 25-26 brix in the Sonoma Coast, the wine from Napa will most likely be fresher in general.” says Iaconis. As climate change takes root, Iaconis and others can’t be certain that the sites they work now will be viable in 50 years, or even five years. More pressing, perhaps, is that the lure of Cabernet Sauvignon in Napa is never far. Last year, La Perla’s Pinot Noir vines were pulled out and grafted over with Cabernet. After the 2017 vintage is released in the fall of 2019, it will exist no more. Ancien 2015 Mink Vineyard Pinot Noir (Coombsville); $52, 93 points. This is a lovely wine from a fine appellation, on the outskirts of the town of Napa. Rose, cassis and cherry-strawberry accent a chiseled structure of finely honed acidity and a succulent core that will equally please a crowd and connoisseurs. Brick & Mortar 2015 La Perla Vineyard Pinot Noir (Spring Mountain District); $55, 91 points. From a high-elevation site where the vines enjoy volcanic calcareous soils, this lightly ripe wine is high-toned in pomegranate, rhubarb and orange peel, textured with a sense of crushed rock, and easy to love. It’s Gamay-like in its delicate brightness and retention of acidity. Brick & Mortar 2015 Cougar Rock Vineyard Pinot Noir (Napa Valley); $50, 90 points. From an unlikely site atop Atlas Peak, this wine is lightly colored and delicate in nature. Gentle notions of forest, black tea, strawberry and boysenberry play against lithe silky tannins and quiet ripeness. Sean W. McBride 2016 Kim Giles Vineyard Pinot Noir (Napa Valley); $32, 90 points. Minty and herbal on the nose, this delicately layered wine is light in body. Lemon peel, cranberry and pomegranate highlight the palate, giving an exotic edge to the wine. Tulocay 2015 Haynes Vineyard Pinot Noir (Coombsville); $40, 90 points. Exotic and delicate on the nose, exuberant in rose petal and lavender, this wine is earthy and stemmy. It possesses a weight on the palate that belies its underlying elegance and persistent acidity.